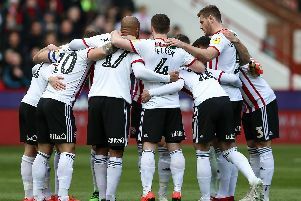 Sheffield United Fan’s Column: How do we best look after David Brooks? What do we do with David Brooks? Ask some and he’s the best player we’ve had since Tony Currie and we’d better be careful not to lose him to Tottenham or Liverpool for £10-£20 million in the summer. He should be a first-choice player who is in the starting XI every week. Ask others (such as me) and you’ll get the answer that he hasn’t really done anything yet. Yes, his three goals were all exquisite finishes, all passed into the corner of the net with the hallmark of Jimmy Greaves. Yes, he can nutmeg opponents and flick the ball over their heads before running round the other side to collect the ball. Yes, he can glide past players as if they’re not there are create chances for others. Yes, he was outstanding at Hillsborough and made Jack Hunt look like a fool. But there’s a flip side. Those who say he should be in the team every game never seem to go on to add in which position he should play. Media reports call him a winger, but United don’t play with wingers. Is he a striker, in which case he’d have to play instead of Billy Sharp or Leon Clarke? I don’t think he is a striker, as he spends so much time drifting around everywhere except the penalty area looking for the ball. Given that he does so much drifting, should he play behind a front two? But that’s where Mark Duffy plays, and it’s be hard to leave him out if he’s fit. Could Brooks play alongside Duffy? Maybe so, but that would mean omitting John Fleck or Lee Evans, who are both so vital to the balance of the team. Then there’s the influence Brooks has on a game. Against Cardiff and Barnsley he was a peripheral figure, too easily knocked off the ball by muscular defenders, running into dead ends or making the wrong choice of pass. But against Middlesbrough he was excellent, setting up the second goal with a feint and chip that nobody else in the team could have executed. You can hear the anticipation of the crowd rise when he gets the ball. He has that way of rolling the ball under his foot that only the best players can pull off and which raises a cheer every time. He can be so exciting when he’s on his game. But he’s not on his game enough to warrant a permanent starting place yet. To me he’s the ideal sub, coming on for the last 20 or 30 minutes to replace one of the strikers or a defender if we’re chasing the game. Tired opponents must dread seeing him standing on the sideline ready to step on to the pitch. But there’s the dichotomy. Brooks needs to play often to improve his all-round game, but if he’s only getting a few minutes at the end of a match how can he improve? Chris Wilder and Alan Knill are far more qualified than any fan to answer that question. They are also the best qualified to guide his career for the foreseeable future. I hope Brooks stays at the Lane for a long time and develops into the player we all know he can be.